Having taken hold among people of Asia, this interesting adjustment for food preparing has received many names: tandoori (India), tone (Georgia), tanoor (Tajikistan), tonoor (Eastern Turkestan) and others. In Armenia this oven-brazier is called tonir or tandoor. It might seem surprising, why we pay so much attention to this object. 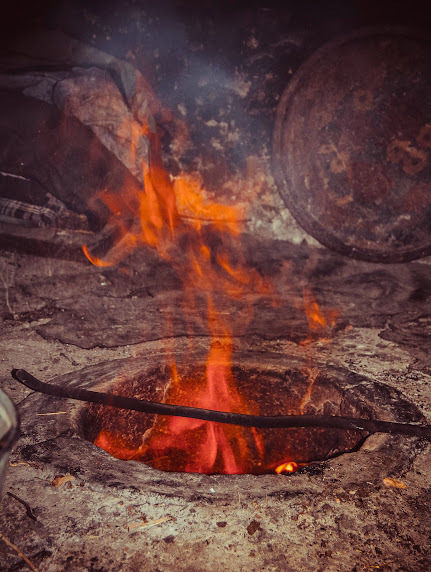 The point is that in contrast to other nationalities that use tandoor only for bread baking, Armenians have mastered it for cooking a lot of other dishes (soups, pastries, vegetables), for heating, also for medical purposes – for warming sick people. Moreover, for ages it has been considered as the symbol of the Sun in the ground; in villages without churches, priests had right to lead wedding ceremonies in front of the tandoor. So, how does the building technology of the tandoor look like? The mixture of brown clay, sand and water should be thoroughly mixed up by spades. Then constructors should condense this mixture by walking on it till it becomes completely thick. Then this mixture should be lined in rings till particular height – approximately 1m 20 cm. And the bottom diameter should be smaller than the top diameter. So, in this way, let’s say it has a shape of the rounded upturned cone. Tandoor surface should be tiled and it should be left for 15 days to thicken so that it would be possible to polish the final shape. If the ready tandoor needs to be transported to the customer, it should be wrapped around by tight rope so that it not crumbles, and it should be put into necessary place. 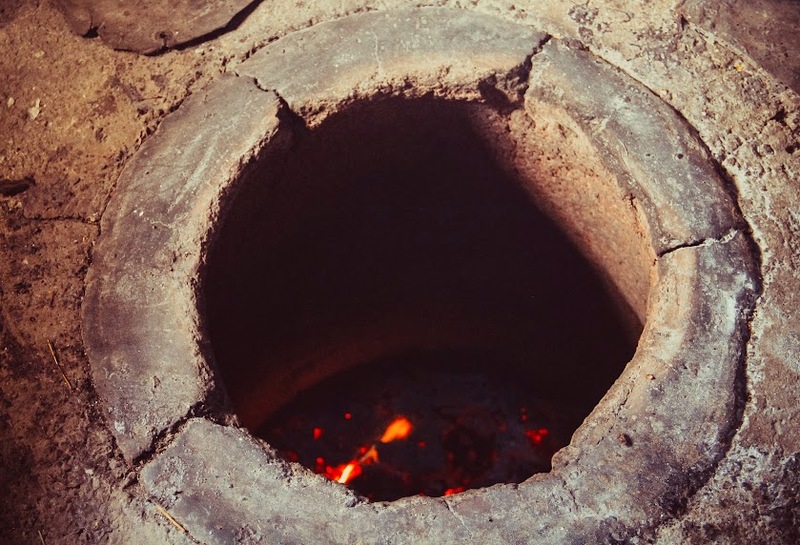 Then, newly arrived tandoor should be burned (mixture of straw and cowpat are used as a fuel here) and finally it gets necessary thickness and readiness for food cooking. Crucial points: normally tandoor should be digged into earh, hole for smoke output should be done in the ceiling above it. The higher the ceiling, the better. By the way, starting from 2012 in Armenia culinary festival “Tonraton” has been celebrated where competitions in cooking food in tandoori are held on.